Nicolette did a flower story in the July issue of Real Simple. The gorgeous photos are by the extraordinary Martyn Thompson. There are some really lovely photos* and lots of arranging tips. You can check out the article here or be sure to grab one at the newsstand! Hope you are surviving the heat! *this mostly green arrangement is my favorite. 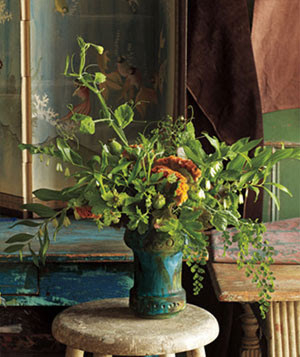 there are endless possibilities with all green arrangements. have you ever made an arrangement with all greens? Great article! 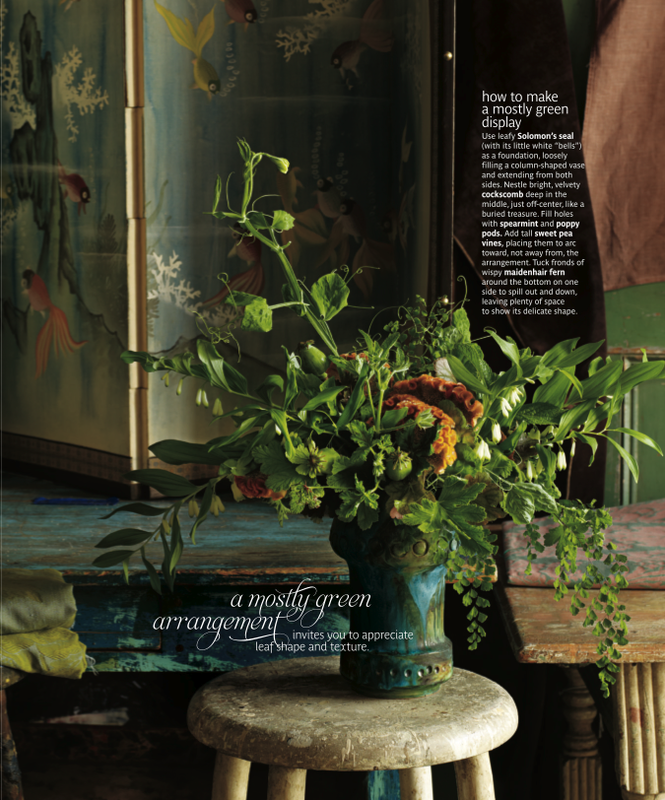 And I love all foliage arrangements - there are so many wonderful textures and colors when it comes to greens! Just discovered the blog! Thank you for the article, learning something about flower arrangement is one pending project for me... This "green" one looks natural and lovely.